This was not entirely true. 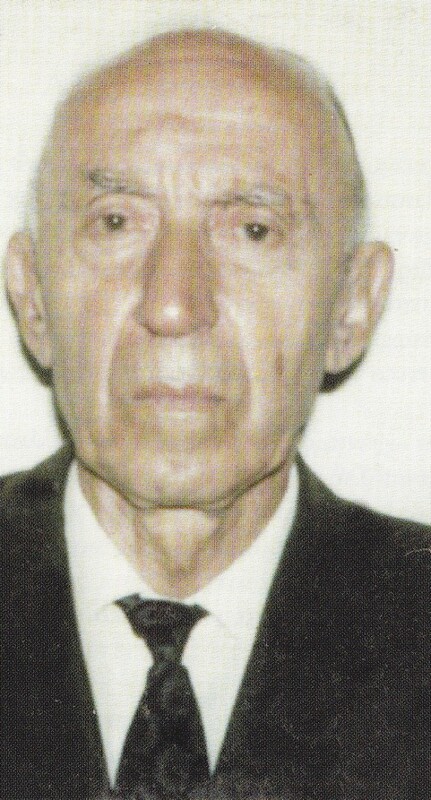 As pappou Niko fixed you with his gaze, you knew that instead of looking at you, he was in fact, confronting the image of the infant children he left back in Dervitsiani, when he fled Albania in order to avoid certain execution. Further than that, he was looking at the grandchildren that he had never seen but knew only from the few letters that managed to emerge relatively unscathed from the ravages of the Albanian censors. Here in Melbourne since the late forties, he never remarried and lived alone, desperately despondent at not being separated from his family and despondently attempting to retain some type of connection with the life circumstances compelled him to leave behind. Yet in his solitude in far away Australia, he was constantly surrounded by his adopted family, the large migrant community of Northern Epirots, to whom he was more than just a beloved grandfatherly figure. As a spy, activist and staunch fighter for the freedom of the Greeks of Northern Epirus, he paid the ultimate price for his patriotism. For this, the quiet old suit-clad and towards the end of his tortured life, broken man, was revered. Born in 1902 in the village of Dervitsiani, Nikos Syrmos had his foretaste of exile early, migrating to Argentina after the death of his parents. The experience of being an orphan, as he confided in his epistolary correspondence to his children later, caused him to value family more than anything else. Returning from Argentina and re-settling in his village, where he married his beloved Kostanto (“Nikova” as she was referred to in the village), his bravery, outspokenness and commitment to public works to improve the life of his fellow villages soon attracted the attention of Vasilis Sahinis, the leader of the Greek minority in Albania, who recruited him to his committee. 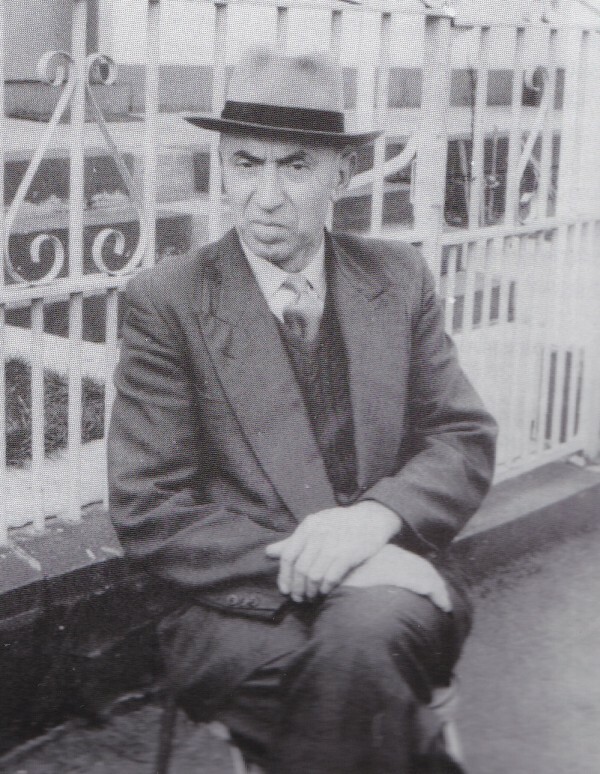 As a result, Nikos Syrmos was at the forefront of Greek efforts to overturn the Albanian government’s 1935 decision to close all Greek schools, in violation of the treaties that welded Northern Epirus to the Albanian state. His activism, in co-ordination with the Northern Epirot community and the Greek state was instrumental in having the World Court overturn the Albanian government’s decision, compelling them to re-open the schools and guarantee the Greek minority some basic rights. These triumphs would be short-lived however, as Italy occupied Albania in 1939 and set about revoking all the rights of the Greek minority in Northern Epirus. In 1940, Nikos Syrmos would welcome the victorious Greek troops into Dervitsiani, only to see them retreat again in the wake of the German invasion a year later. It was at this time, when Albanian officials, collaborating with the Italians, began to actively persecute the Greeks of Northern Epirus, that the first Northern Epirot resistance groups appeared in the area of Delvino, led by two locals and former officers of the Greek army. Soon after, several resistance groups were formed by the local Greek population all over southern Albania. In June 1942 these groups were organized under one leadership and the Northern Epirus Liberation Front was formed. 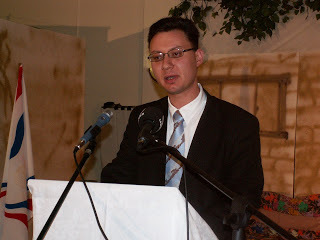 The leading spirit behind the creation of this organisation was Nikos Syrmos’ friend and mentor, Vasilis Sahinis, thus placing Nikos in a unique position to follow events as they unfolded and also participate in the liberation movement. Nikos’ chance came when, in December 1942, he took part in the Northern Epirote resistance organised attacks on Italian-controlled frontier posts and gendarmerie stations, particularly in the regions of Zagoria, Pogoni, Delvino, and Agioi Saranda. When not fighting, Nikos, who offered his services to the cause for free, had to fend for his growing family of five children, a particularly difficult undertaking in impoverished, war-torn Albania. Nikos, along with his other fellow villagers, also had to bear the brunt of brutal counter-attacks and persecution by Italian forces, aided by the ultra-nationalist Balli Kombetar, specifically aimed to terrorise and demoralise villages with Greek sympathies. During this time, he participated in the operation that saw Northern Epirot forces secure the village of Politsiani and set up headquarters there. It was a result of this activity, and the fact that at the time, the Northern Epirus Liberation Front seemed to be the largest and most effective resistance group in Southern Albania, that the British decided to send a mission there. Nikos Syrmos was at the meeting and bore witness to this historic event. As he related to his friends in Melbourne years later, the British Mission proposed that the Northern Epirus Liberation Front, the Albanian Communist Party and EAM, the Greek Communist resistance, should collaborate to form a stronger force against the Axis and Albanian collaborationists. This troubled the leadership of the Northern Epirots, who felt that EAM’s internationalist convictions were being exploited by an Albanian Communist Party that was far from internationalist and instead, highly nationalistic. The Northern Epirot leadership felt that should their interests were inimicably opposed to those of the Albanian Communists and that should they prevail in post war Albania, then the rights of the Greeks in Northern Epirus would be compromised. In a quandary as to how to proceed, Vasilis Sahinis sent Nikos Syrmos on a mission into Greece in order to obtain advice about any proposed collaboration. “I told him that though we did not trust the Greek ELAS, because we considered that they were being hoodwinked by the Albanian communists, who were more nationalistic than the fascists, we would not assist him to fight against fellow Greeks. Our main aim was solely to liberate our country and protect our people. Under no circumstances would we spill the blood of our own people, communists or otherwise. At this, Zervas seemed crestfallen. He told me he would have to get in touch with the High Command in Cairo and obtain orders before he could pledge any assistance. I was given a pair of army boots and I made my way back to my village and set about obtaining recruits for the Front. I told him that we were not interested in participating in his quarrel with the Greek communists. The only thing we wanted to do was to liberate Northern Epirus, something that he manifestly had absolutely no interest in. “You promised me other things, last time,” I told him. “I promised you nothing,” he spat. I left despondent and furious. Inevitably, Nikos and his fellow front members would see their most fervent hopes shattered. Having no support either from the still exiled Greek government or any of the resistance groups, the Front was powerless to stop the well organised onslaught of the Albanian Communist party, which, with the help of its Greek counterpart, was telling the impressionable villagers of Northern Epirus that under their rule, land would be redistributed, wrongs righted and their minority status would be respected. During the course of his life, Nikos Syrmos would relate the many occasions in which members of either the Greek ELAS or the Albanian Communist party would make contact with them in order to attempt to force them to join their ranks. In time, members of the Albanian merchant class, Muslim clerics and landowners would also seek them out, in order to ask for protection, as it been made known that these groups were to be liquidated should the Albanian Communist party come to power. At this time, representatives of the Front decided to join the communist party only in specific attacks against the Axis, provided that the latter will recognise the autonomy of the region in the post-war period. Although the Albanian communist leaders agreed and assurances of the British allied mission were given, they secretly marked Vasilis Sahinis for liquidation. Nikos Syrmos was present during all of the negotiations that took place between the resistance groups. At one particular meeting in the city of Argyrokastro, Nikos, who was a delegate for the Front, after being reassured by the Albanian communists that their collaboration was underwritten by the Greek ELAS, noticed that no delegate from that organisation was in attendance. He walked out of the meeting, which was supposed to launch the united front of all resistance groups in Albania, causing a mass walkout by all the other Greeks in attendance. From that moment onwards, Nikos Syrmos was a marked man. In September 1943 Italy surrendered to the Allies and her place in Albania was taken by Nazi troops. The Northern Epirus Liberation Front was to take the initiative for a short period, fighting against combined armed groups of Germans and Albanian nationalists. The results were devastating, as the Albanian nationalists engaged in a flurry of looting and burning Greek villages, shooting the inhabitants by firing squads and hanging the village priests. Nikos Syrmos witnessed the massacre of Greeks in Leskoviki at the hands of Albanian fascist collaborator Safet Butka. It was while the Greeks of Northern Epirus were being subjected to this vicious bout of ethnic cleansing that the Albanian communists, who occupied the city of Argyrokastro on 17 November 1943, tortured and killed the leader of the Northern Epirus Liberation Front, Vasilis Sahinis. Nikos Syrmos lingered in the region, eventually crossing over to Greece for safety. As the Albanian communists consolidated their hold over the region, they condemned Nikos as a fascist and a collaborator who, if captured, would be executed. His wife was imprisoned in Albanian work camps for years, while their children were left to fend for themselves. Inconsolable, Nikos Syrmos migrated to Australia in 1949, in search of means to support his family as well as to raise awareness of his cause. In Melbourne, he established himself at the centre of the small group of exiled members of the Northern Epirus Liberation Front. At the same time, he valiantly strove to remain a father, writing constantly to his children, giving them advice, exhorting them to look after each other and attempting to mediate family disputes. These letters were smuggled into the country through various means, and often written in a manner that would not permit the ever-wary censor to understand their contents. Especially heart rending is his letter to his children upon the death of their mother. In communist Albania, the practice of any form of religion was banned and so Nikos wrote to his children to reassure them that a proper church service was held for their mother and all the funeral customs adhered to. Nikos Syrmos died in 1987, just a few years before the regime that exiled him from his homeland and performed untold acts of depravity upon his people collapsed. He died within a Melbournian Epirotic community that revered him, far from his family and the homeland he paid so dearly to defend. And his fate truly is to be an eternal exile, for all attempts to repatriate his remains to his homeland have so far been unsuccessful, a recent attempt last year by his son proving fruitless for technical reasons. His nephew, Iraklis, was fated to be one of the Omonoia five, tried by the newly established ‘Democratic’ Albanian government for setting up a political party for the Greek minority, reinforcing the family commitment to freedom for the Greek minority in the region. *Dean Kalimniou is a Melbourne solicitor and freelance journalist.